There is a scene in High Fidelity where John Cusack, playing Rob Gordon, the under appreciated scholar of pop-culture, looks as an employee of the record shop he owns and confidently says “I will now sell five copies of “The Three EPs” by The Beta Band.” Within moments of starting the song “Dry the Rain,” the inhabitants of Championship Vinyl begin questioning the song. Instantly, it has their attention. That moment is exactly how “Lonesome,” the opening track from Dr. Dog’s seventh album Be A Void was for me. Having been what could easily be classified as a hipster for the better part of my adult life, I found myself shocked that this moment would serve as my first listen to Dr. Dog. How the hell had I overlooked this band? However I managed it, it is on me. Having spent the last six hours on spotify listening to everything by the band that I could get to play, I have to admit that my avoidance was in poor taste. This band is the perfect version of polished lo-fi. They’re an obvious homage to the John Lennon verse Brian Wilson days of music. Take “Turning The Century” for example. With a sitar sound, one could easily confuse the track for left over material from the album Rubber Soul. However, at no point does Dr. Dog back themselves into a musical corner. In fact, they tend to do the opposite, shifting sounds all over the place. The album’s opening track, “Lonesome” is as twangy as Pennsylvania can get. Slide guitar and backwoods harmonica push the accented lyrics. In terms of indie rock country, this is the exact angle that Jack White aims for when he dusts off his Durango boots. The only difference is that with Dr. Dog, it seems sincere. 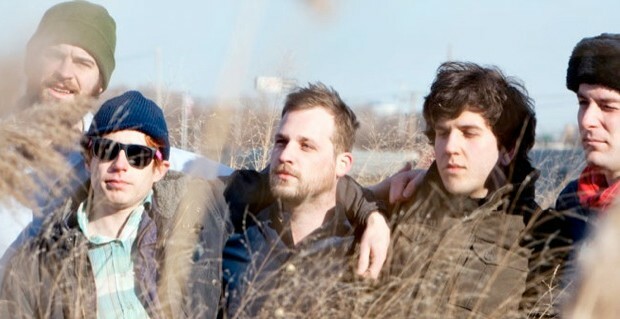 Dr. Dog doesn’t stop bridging genres with country and classic rock. While they do tend to linger somewhere near the 70’s drug rock sound, particles of influence can be found in instances like The Flaming Lips, David Bowie and The Band. This is in no way indicative of Dr. Dog’s intentions to carbon copy a sound. Far from it actually. In all honesty, I believe the band tends to be more talented that the current generation of music. I feel safer calling them old souls when discussing their music maturity. With a gun to my head and pushed for my complaints regarding the album, I’m pretty sure I could only find this one: Be The Void tends to be a little top heavy. However, even that penalty is even a little misleading. While the B-side of Be the Void is in fact noticeably weaker than the first half of the album, this is simply due to the fact that the first three track are simply untouchable. Hell, I would go so far as to say that in 2012, I have yet to experience a stronger trio of openers. That said, most albums wouldn’t stack up well as a whole against those tracks. So, calling the remainder of the album soft is absolutely unjustified. They are not weak, they are simply weaker. And if this is Dr. Dog’s quality of weakness, I feel the need to own everything they’ve done.